dedicated to the import of Italian wine in Berlin. Wine Age Berlin is a new reality dedicated to the import, distribution and marketing of Italian wine in Berlin. Our platform provides visibility and promotes to the little and bigger wineries and winemakers, using techniques of online marketing and strategic partnerships with a constant attention to ethics and environmental sustainability.  Wine Age Berlin selects and represents the old cultivation and new techniques of wine production with a special consideration for the new generation of wine, distin-guished by being organic, vegan and symbiotic. Natural wine without synthetic chemicals like fertilizers, herbicides, fungicides, insecticides and pesticides in general or genetically modified organisms. All grapes are sourced from vineyards using sustainable practices with symbiosis method two dissimilar organisms living as one such that the whole is greater than the sum of its parts. Back to the roots with one of oldest technique of storing Wine in the history of man. We are first vegan importer that counts a large varieties of Italian wines; discovering the true passion of natural wine, exploring and give pure feeling of grapes without addictives of animals origins. © Wine Age. All rights reserved.